This Powerpoint presentation is a multiple choice game on do/does. 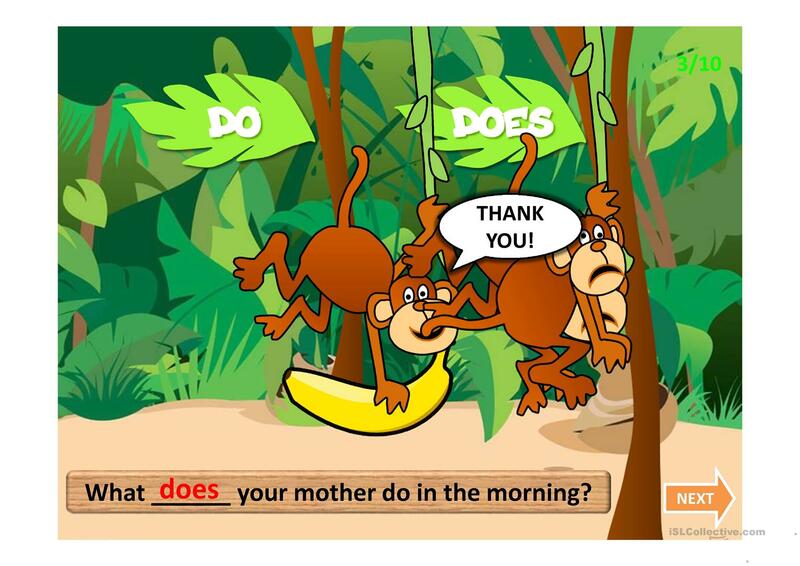 Present simple questions. 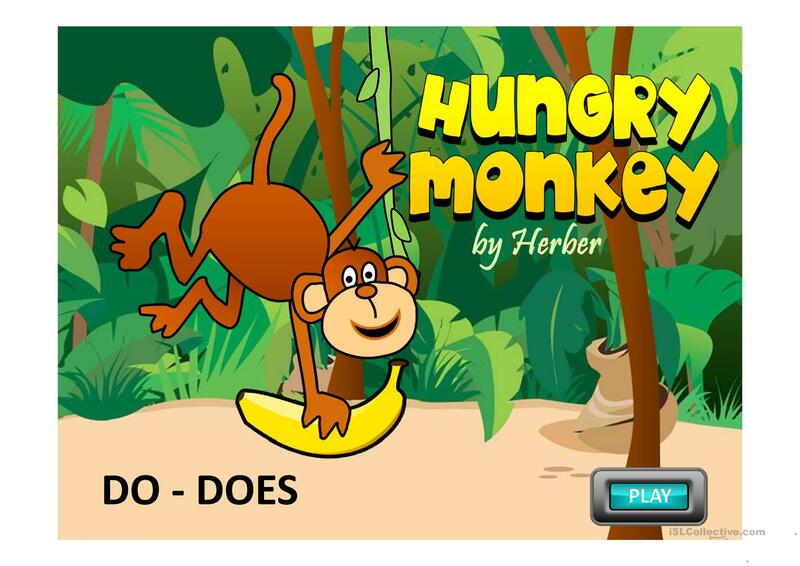 The students have to complete the sentences by clicking on the right option. Hope your pupils enjoy it. The above downloadable worksheet was created for high school students, elementary school students and students with special educational needs, learning difficulties, e.g. dyslexia at Elementary (A1), Pre-intermediate (A2) and Intermediate (B1) level. It is a useful material for practising DO or DOES and Present simple tense in English, and can be used for strengthening your groups' Speaking and Reading skills. It features the topic and words of Actions. The answers are provided, too.